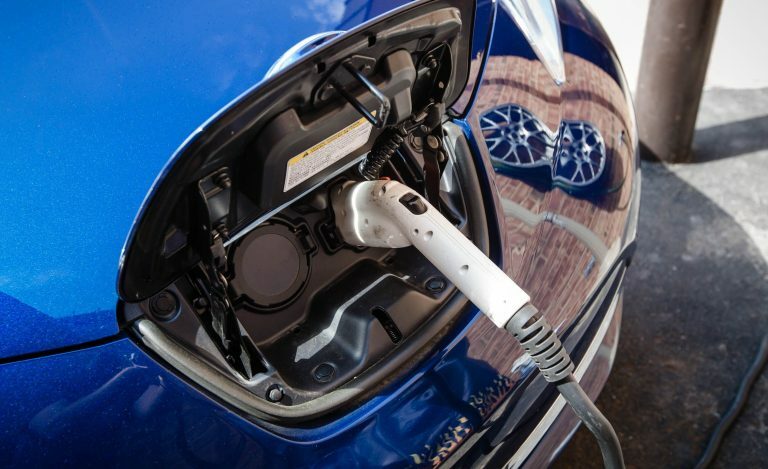 Electric vehicles are a major part of today’s automotive industry, promising reduced running costs, a decrease in manufacturing complexity, increased reliability and above all zero tailpipe emissions. We often talk about EVs here at PakWheels and the most common point of criticism people have about EVs is the cost of entry. 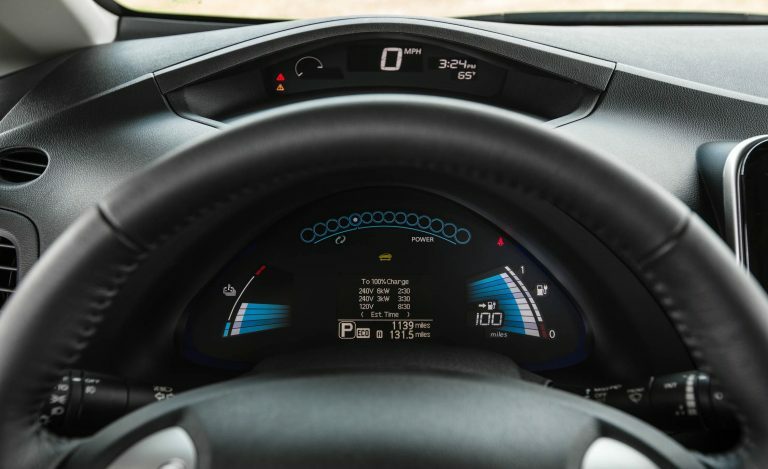 It is simply an inescapable reality that EVs tend to cost more than their conventionally motivated counterparts, this price premium over regular vehicles is justifiable since EVs tend to have expensive batteries and require a lot of research and development to manufacturing, but it does make EVs out of reach for many. Also Read: Why electric vehicles are better than gasoline cars, my two-cents! However, due to the recent government incentives, namely Economic Coordination Committee (ECC)’s allowance to import up to five-year-old electric vehicles, under personal baggage, transfer of residence and gift schemes, instead of three and reduction of import duty from 50% to 25% under PCT 8703.9020 enable electric vehicles to be imported with minimal custom duties. The aforementioned incentives, therefore, effectively reduce the cost of entry associated with an EV. Fittingly, today we will be talking about the three truly affordable electric cars for consumers on normal incomes who are on the fence about going electric. 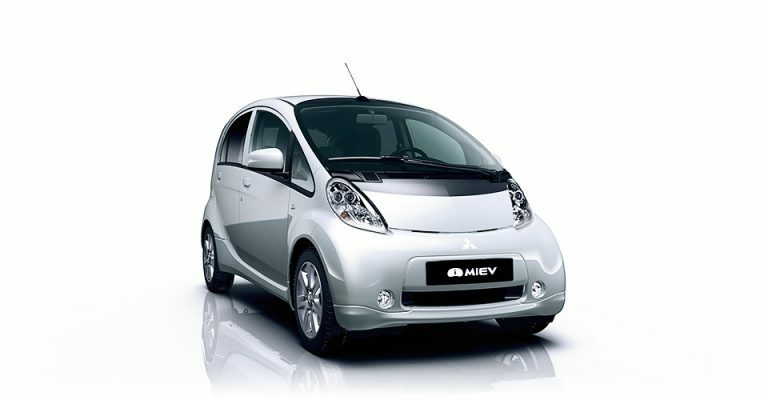 The Mitsubishi i-MiEV is considered to be the first serious attempt at electrified cars and has the meat to back that up as well. 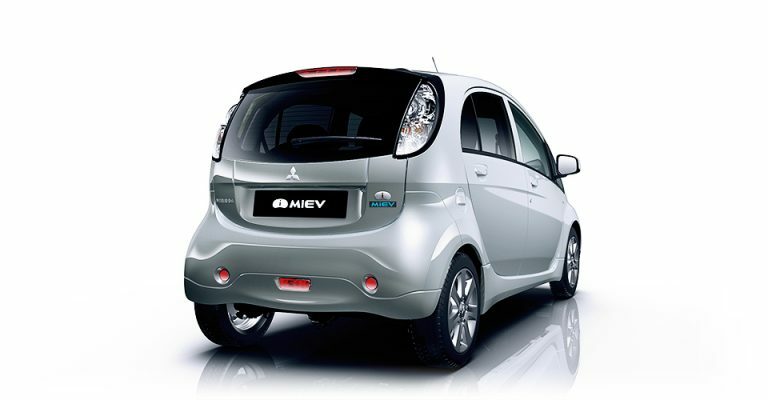 The i-MiEV is a Kei car and shares its platform with the 660cc Mitsubishi I but instead of a 660cc engine, the i-MiEV comes with either a 10.5 kWh or 16 kWh battery that provides a range of 120 km or 180 km. 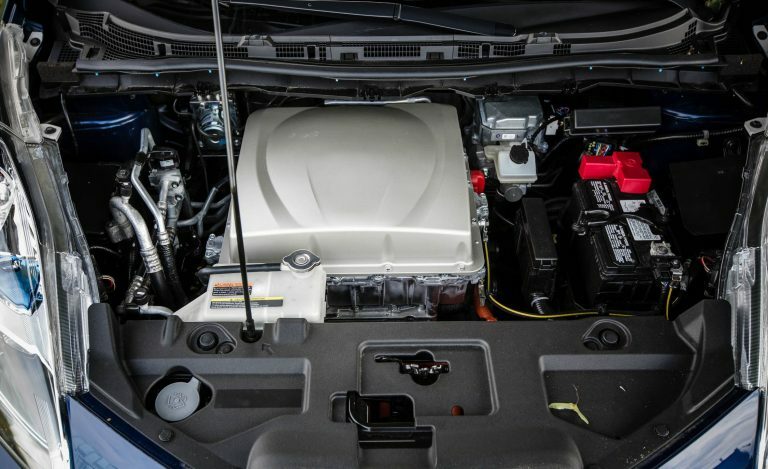 The battery choice also dictates the power output, the car with the smaller battery has a 30 kW motor and produces 41 HP while the larger battery vehicle has a 47 kW motor that generates 63 HP though both have the same 160 Nm of torque. This pleasant torque figure makes the i-MiEV feel responsive and sprightly in day to day driving, unlike other Kei vehicles which often feel underpowered. 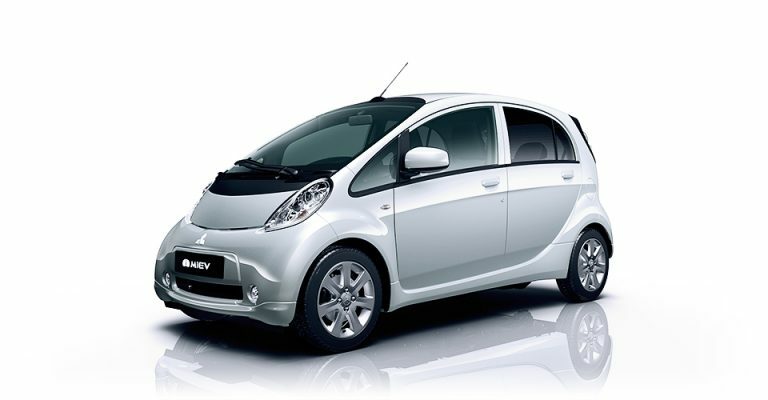 Like many cars from this category, the i-MiEV is designed to be aerodynamic and is not very appealing to look at, but in this class looks have limited importance. 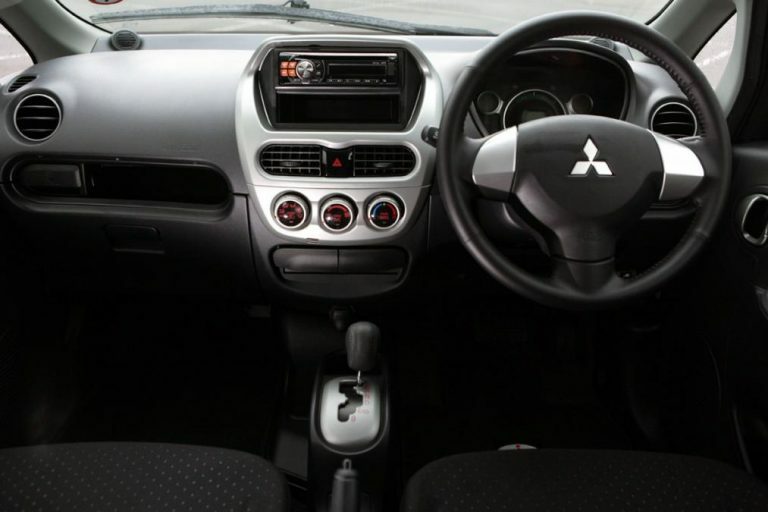 The interior is very similar to other Kei vehicles and is built to last the test of time. 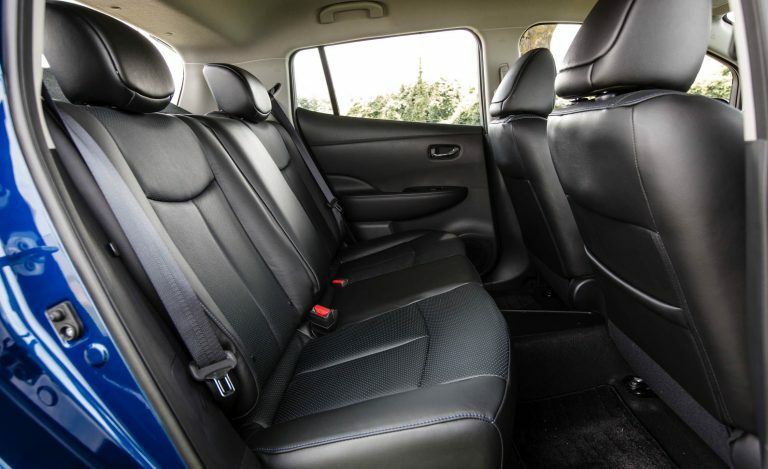 The i-MiEV is also well equipped and features key-less entry, dual airbags, side curtain airbags, ABS, traction control, LED headlights, reversing camera and a 7-inch LCD infotainment display. The i-MiEV also makes a lot of sense as a car, most, if not all, Kei cars are driven within the city, so the relatively short range is of no concern in most people daily commutes. 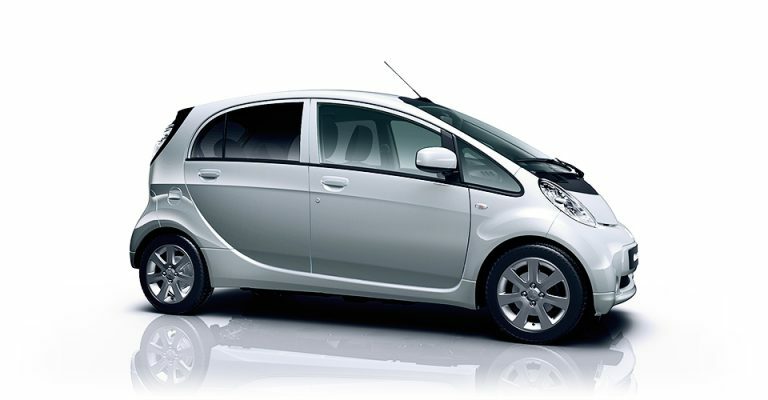 But more importantly, the i-MiEV improves on the key trait of any Kei car: efficiency. The i-MiEV will save around PKR 70,000 annually in energy costs over a Daihatsu Mira E:S which is considered to be among the most efficient cars of today! And that is not even considering the other maintenance (like oil changes) that a car with an engine requires! Not to mention that the i-MiEV does not carry a price premium (Unlike most other alternative-fuel vehicles, due to the recent government incentives) and is about the same price as any other Kei vehicle. 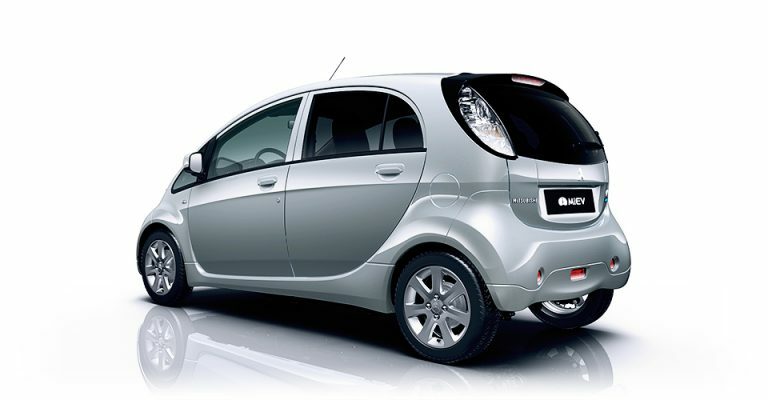 An auction grade “4” model year 2013 i-MiEV with the 10.5 kWh battery and around 35000 km on the clock can be imported from the JDM auction for under 10 lacs. 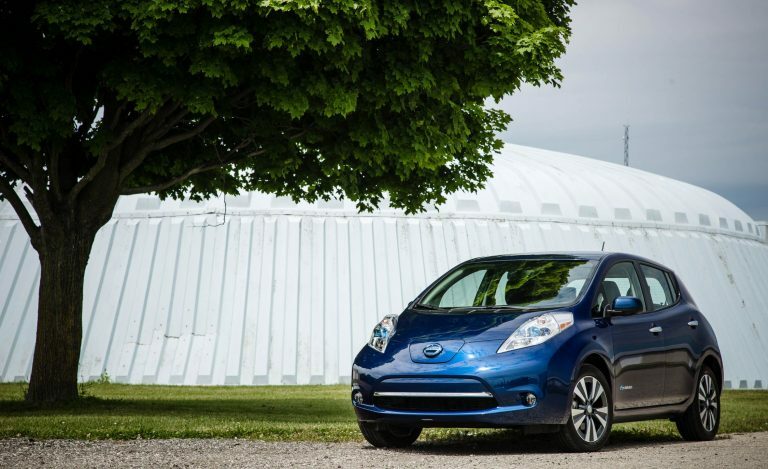 The Nissan Leaf has been the standard bearer of affordable electric cars for quite some time. 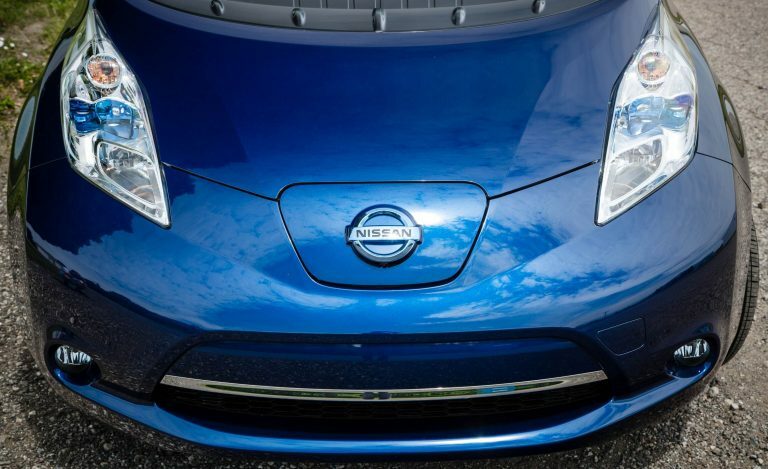 The first generation Nissan Leaf was a home run for Nissan and EVs in general and model years 2013-2015 fall well within the price bracket we are talking about today. 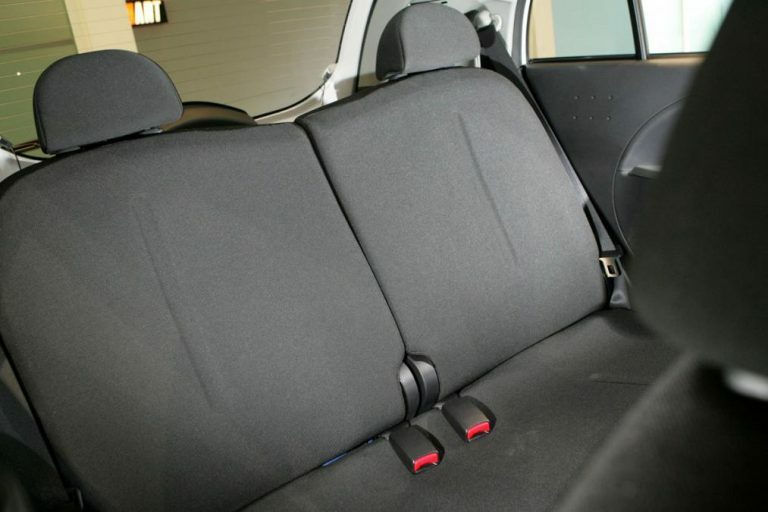 The Leaf is a practical five door hatchback the size of a Volkswagen Golf or a Honda Civic (the 2700mm wheelbase is identical to the 10th generation Civic). 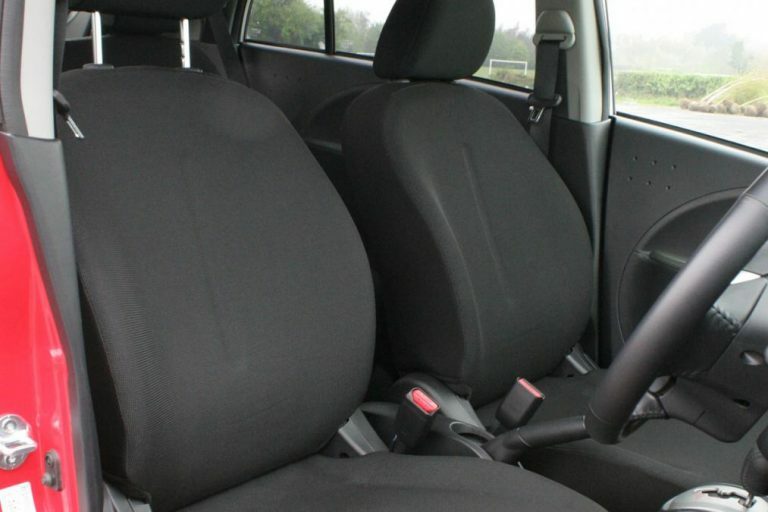 It seats five adults comfortably in a spacious and very well built interior. Powering the leaf is a 24 kWh battery paired with an 85 kW electric motor, driving the front wheels via a single reduction gear. The motor puts out a healthy 107 HP and 255 Nm of torque and is good for around 180 km of range in day to day driving. This large torque figure, despite the Leaf’s 1440 kg kerb weight gives it instant pedal response and sprightly acceleration and like most EVs there is very little noise in the cabin. 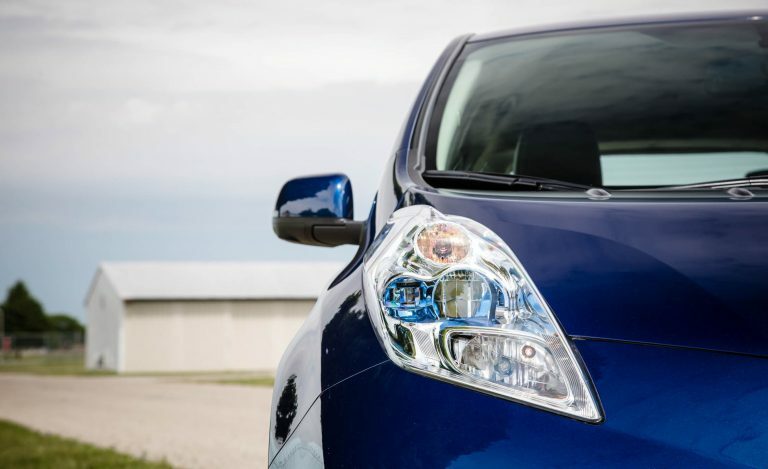 The exterior of the leaf is unconventional, quirky yet functional: The frog-eye-shaped headlights, for instance, are designed to reduce drag and minimize wind noise. The shape may not be very appealing but it does score points for function as it manages to be aerodynamic and offer plenty of interior room. The cabin of the Leaf prints “Avant-garde” and is laden with technology: Key-less entry, push button start, automatic wipers, automatic headlights, climate control, electrically heated front seats, reversing camera, a 6-inch LCD infotainment display, full LCD instrument panel (that displays charging information, battery percentage and trip meters) and an LCD eyebrow display (like Honda’s i-MiD) is included as standard on the base “S” trim. 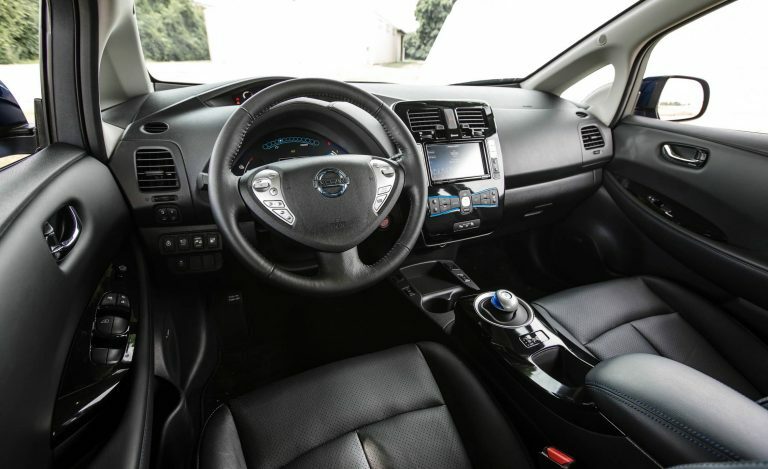 The “X” trim adds optional LED headlights and DRLs, 16-inch alloy wheels, cruise control, steering wheel controls, glossy black interior trim and a 7-inch Nissan-Connect LCD infotainment system. The top of the line “G” trim adds 17-inch diamond cut alloy wheels, leather seats, includes DRLs and LED headlights as standard and offers Bose premium audio and 360° surround view parking camera as an option. The Leaf is also a very safe car too, it features front and rear crumple zones and 6 airbags including dual front airbags, side curtain airbags, driver and passenger side airbags and as a result scores a full 5-star safety rating in the JNCAP (Japanese New Car Assessment Program). 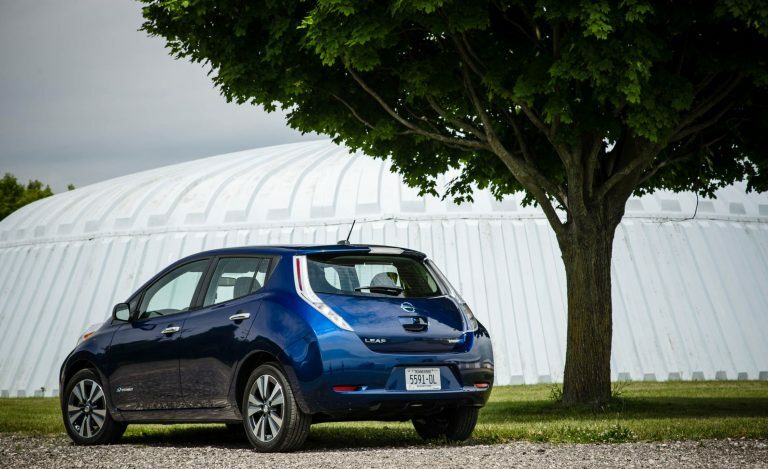 The most viable way to get a Leaf is through the JDM auction where my recommendation would be to get an auction grade “4” model year 2013 Nissan Leaf Leaf in the “X” trim with around 45000 km on the odometer which can be had for under 17.5 lacs which make it a great value for money even though the “S” trim can be had for cheaper and the “G” trim packs more features. Reliability has been a strong point for the Leaf and running costs are a tiny fraction of similarly sized cars like the Honda Civic and Corolla Altis, you can save upto PKR 1,60,000 in fuel costs annually compared to a Honda Civic (Driving 20000 km, assuming a Civic does 10 km/l, petrol priced at PKR 92.5 per liter and using K-Electric billing slabs) and that is not even including the multiple oil changes and other maintenance that will be needed for a car with an internal combustion engine. However, the complete lack of availability of parts locally may be a turn off for many buyers but the Leaf remains a solid option for those who despise the increasing running costs of petrol cars. 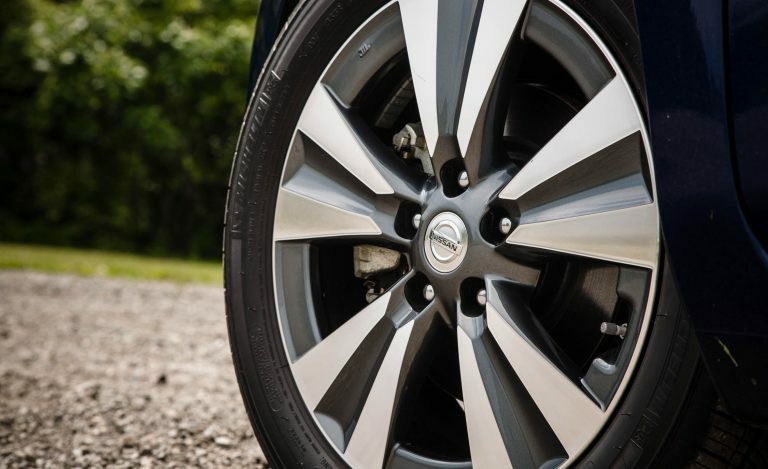 Overall, the Nissan Leaf is a solid choice for consumers and enthusiasts who are into modern technology, need a safe and practical family car for city use and despise the increasing fuel and maintenance costs of petrol cars. 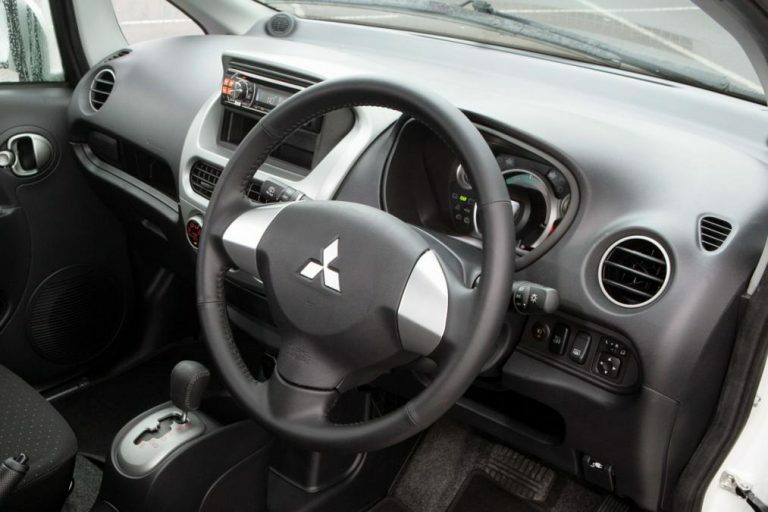 The Minicab MiEV is Mitsubishi’s interpretation of a commercial electric vehicle and goes against other combustion engine powered compact Kei MPVs. I covered the Minicab alongside other commercial EVs in a separate article (linked below) so I wont go into too much detail here. The quick and easy explanation is that the Minicab MiEV is comparable to other small Kei MPVs in terms of form factor and features, is pleasant to drive and costs a fraction of its conventionally motivated rivals to run. Unlike most other EVs, there is considerable local support for the Minicab MiEV since it shares a lot of its body parts (like body panels, brake pads, shocks and suspension components) with the Nissan Clipper and Mitsubishi Minicab Bravo, both of which are a frequent sight on Pakistani roads. 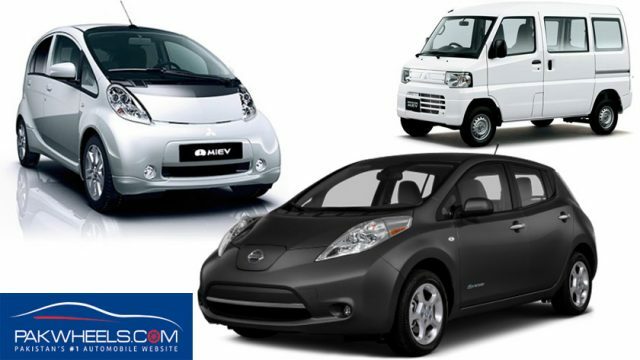 I have shown in the aforementioned article how the Minicab MiEV can save on upwards of PKR 150 000 annually in energy costs when compared to its rivals like the Nissan Clipper, Suzuki Every or Mazda Scrum. These saving may be a game changer for drivers who make use of ride-hailing services like Uber and Careem. The price has also received a major haircut since my last article (due to reduced import duties) and a Model Year 2013 Auction Grade “4” 10.5 kWh Minicab MiEV with 25000 km on the odometer can now be had for under 9.5 lacs. So this was my take on the demand for an “affordable electric car”, a phenomenon that was a common sight on the comment sections of PakWheels Blogs, forums and social media outlets, ever since the concept of an electric vehicle was popularized by the incentives given in the 2018 budget. In conclusion, our country has a long way to go when it comes to the electrification of cars and advances in charging infrastructure and the distribution of electricity are critical prerequisites in the widespread adoption of EVs. Till that happens, “baby steps” at an electrified automotive industry like self-importation of EVs and development of charging infrastructure by non-government institutions (JAC and Dewan Motors to name a couple) will be needed and that is, what I believe, the government is pushing for at the moment with the plethora of incentives given this year. 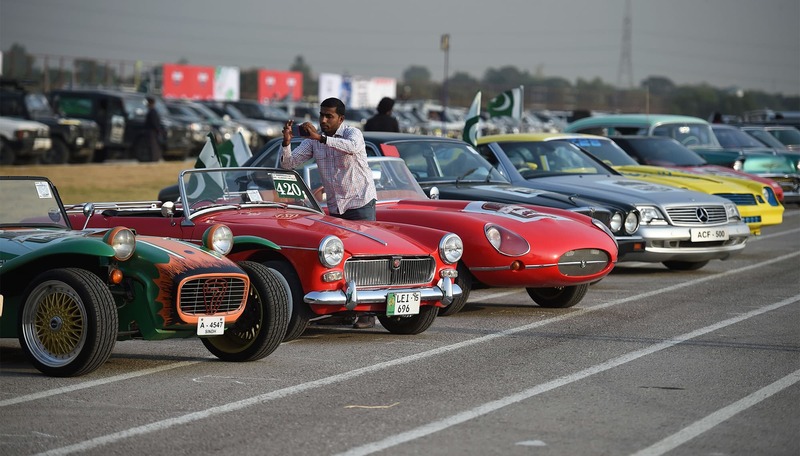 As always feel free leave your thoughts in the comments below and stay tuned to PakWheels for more automotive-related content.